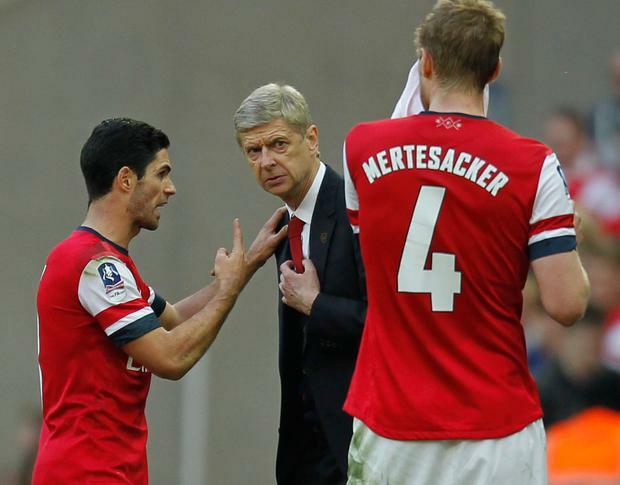 Arsene Wenger has backed Mikel Arteta to replace him as Arsenal manager. Arteta has emerged as the overwhelming favourite to succeed Wenger in the past few days with Arsenal having now interviewed all the main candidates. Max Allegri seemingly ruled himself out at the weekend by revealing his plans to stay at Juventus, which made Julian Nagelsmann the most serious rival to Arteta. But Hoffenheim have insisted Nagelsmann is going nowhere and another man admired by the Gunners, Joachim Low, has signed a new contract to remain in charge of Germany. Arteta played under Wenger at Arsenal and is currently joint-assistant coach at Manchester City, although the 36-year-old has already received the support of Pep Guardiola, should he want to leave. Wenger has always insisted that he wishes to remain out of the selection process, but when asked his views on Arteta taking on the role, he told beIN Sport: "He has all the qualities to do the job, yes, and I think as well he is one of the favourites. Asked if the Spaniard has the required experience to take on one of the biggest jobs in English football, Wenger added: "I left a lot of experience behind me, people who were with me like Steve Bould, who has six years experience, and Jens Lehmann too. "He has been an assistant of Guardiola as well, so overall I think he has the qualities."